This week’s pictures come from a small scrapbook which I imagine served as an internal record of work done by the Chelsea Electric Company. Many industrial projects must have been recorded photographically by companies who wanted to celebrate their achievements in this way. We have other examples in our collection like the album dedicated to the building of Chelsea Bridge which I used on the blog (having just bought it on Ebay). No doubt many examples of these have been lost over the years, discarded when no-one could imagine why anyone would be interested in them. But some survive when someone in an organisation sees the historical value of a set of pictures and preserves them for posterity. I’ll come back to the provenance of these pictures on another occasion. In the meantime, a bit of background. 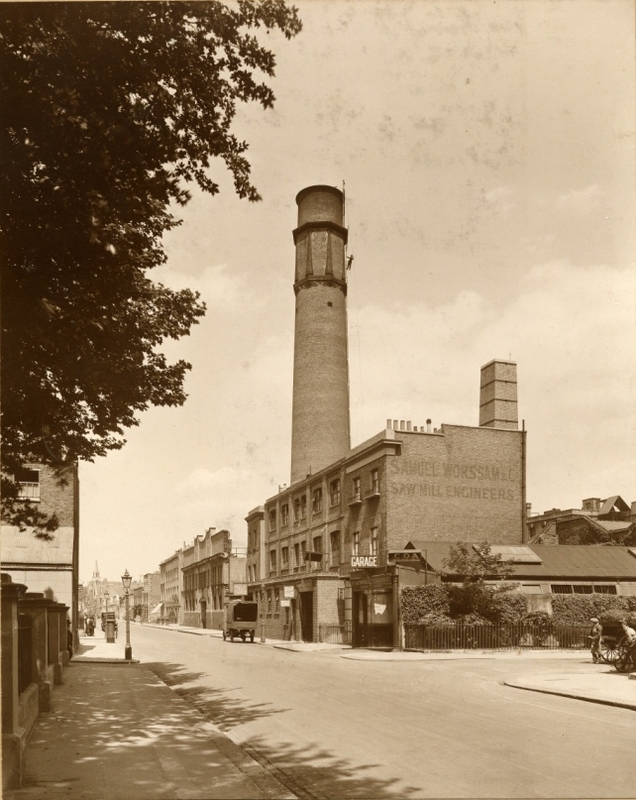 There was a comparatively small electricity generating station in Manor Street in Chelsea, on the corner of Alpha Place, built in 1904-06 and demolished in 1928. 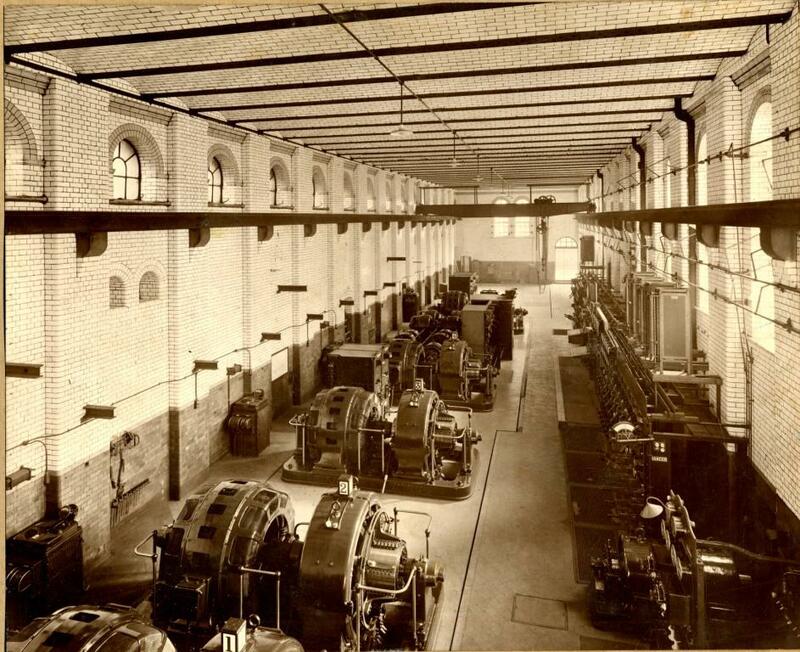 A more modern sub-station replaced it which remained there until the site was redeveloped for housing in the early years of this century. 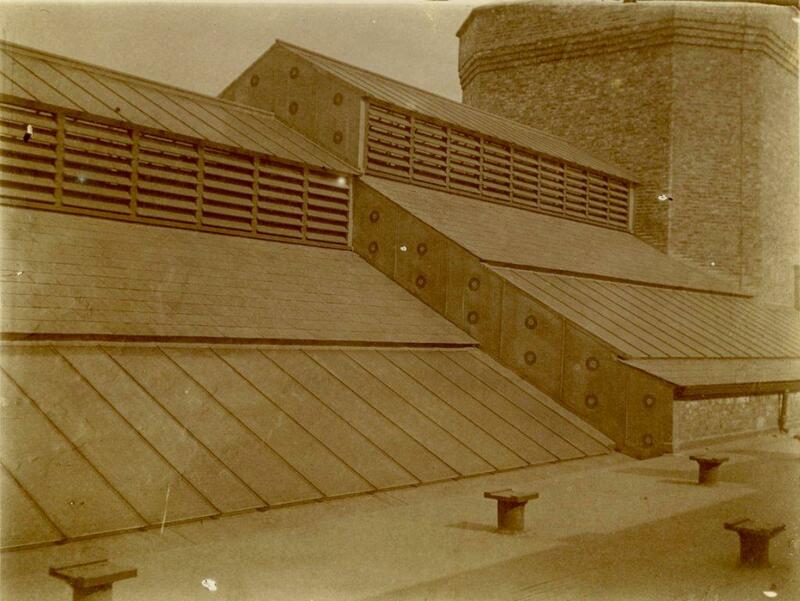 I was already aware of the building because of a few photographs we had in our general Chelsea scrapbooks. 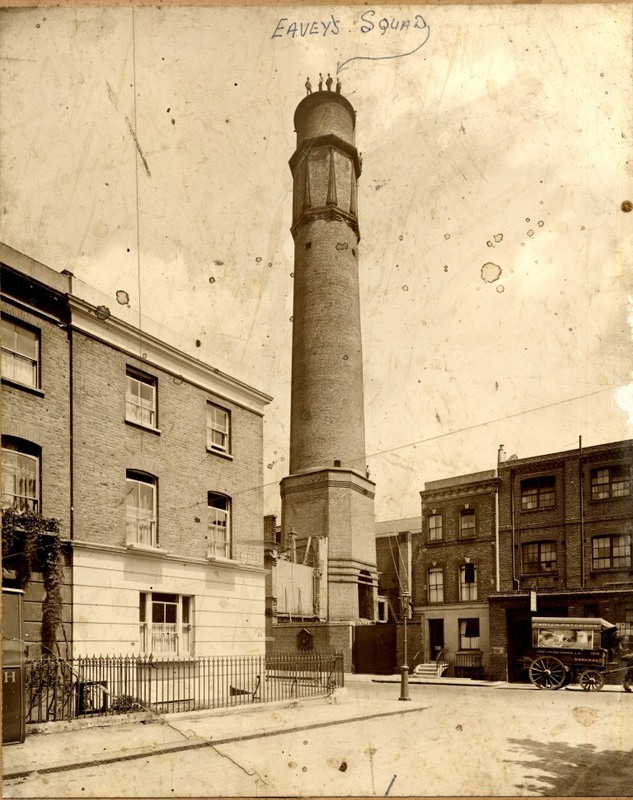 This shows the 175 foot chimney prior to demolition in August 1928, after which the Chelsea Electricity Supply Company got its electricity from the London Power Company. But just over 20 years before they had to create their own power. 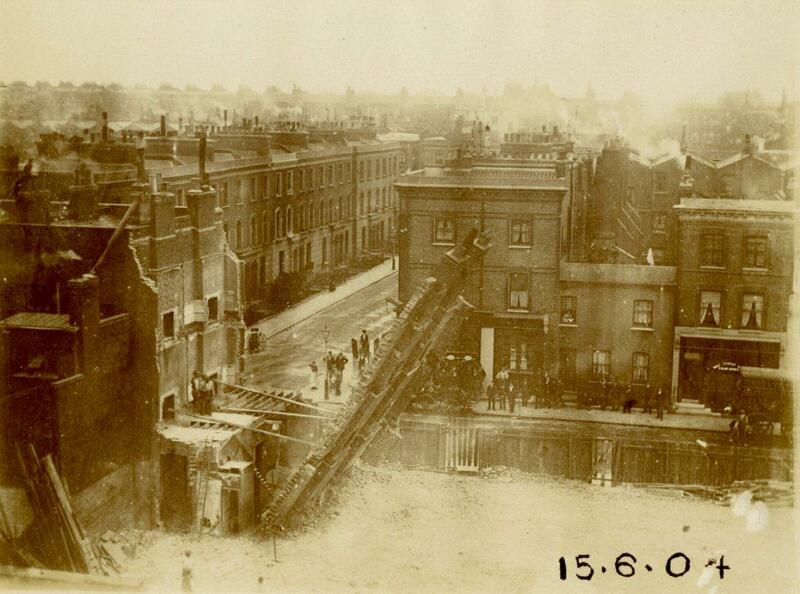 This is one of the first pictures in the book showing Chelsea Manor Street around the time the work began, on the 9th May 1904. 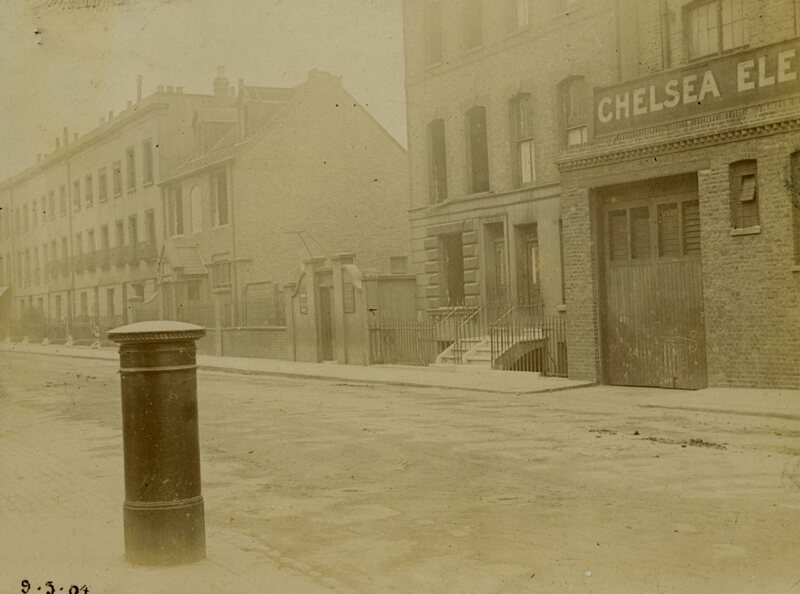 You can see the first part of the sign which reads Chelsea Electricity Company. Soon after, demolition of the existing buildings on the site began, and someone took this excellent picture of a falling wall. A small crowd has gathered to observe proceedings. 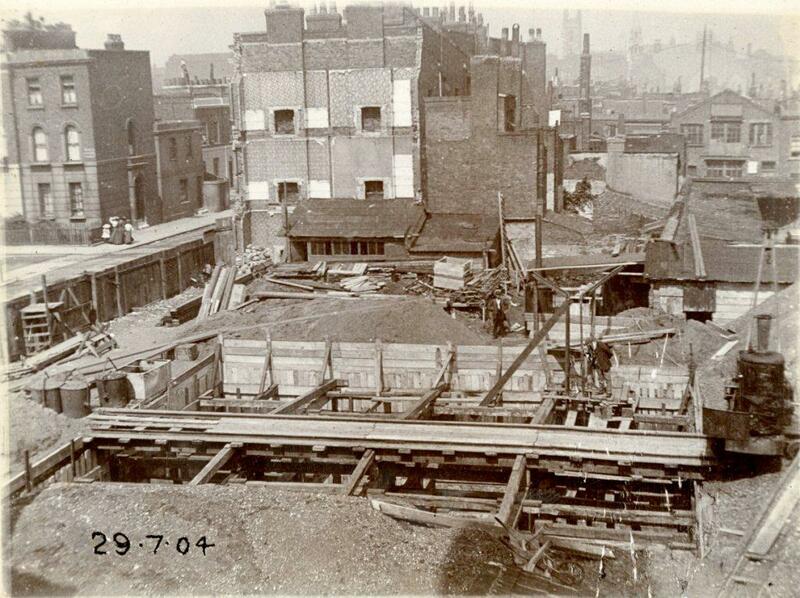 The picture below shows the site a month or so later, from a different angle. The small group of women on the left are in Manor Street I think, and we are looking north. In the distance the tower of St Luke’s Church is just visible. 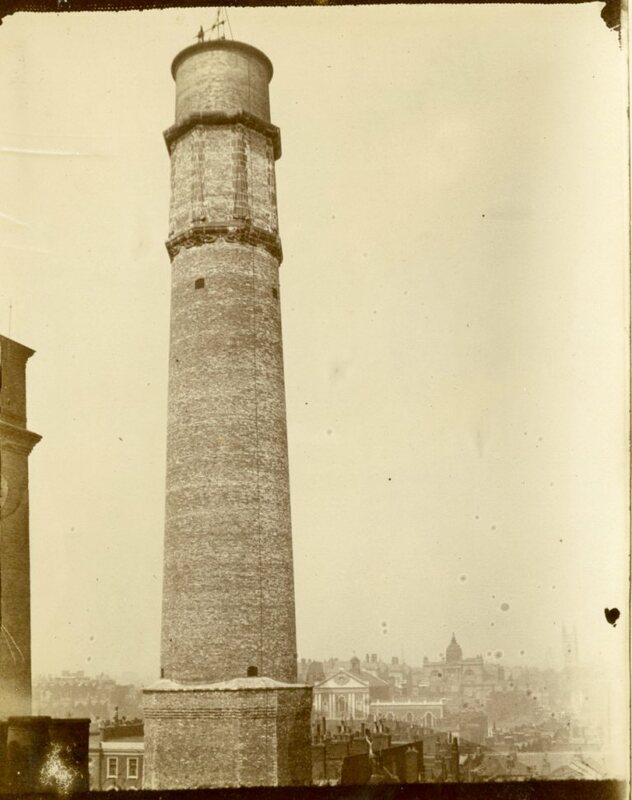 By the following year, the chimney is rising. Is there a figure on top? Just next to the risen tower there is a classical style building. That would be the rear of the old Vestry / Town Hall. A rare sighting from this angle. Now let’s take a look inside. 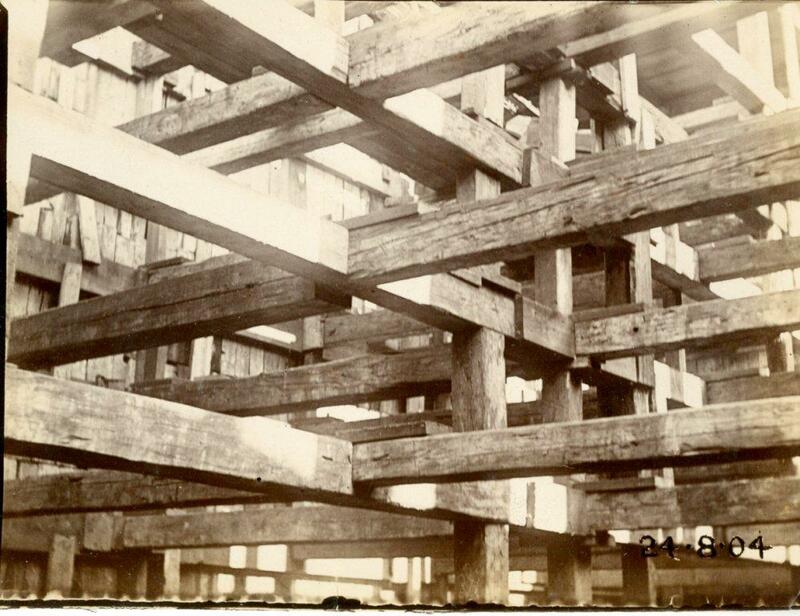 This shows the “supporting column for the exhaust pipe” and the firebrick lining. 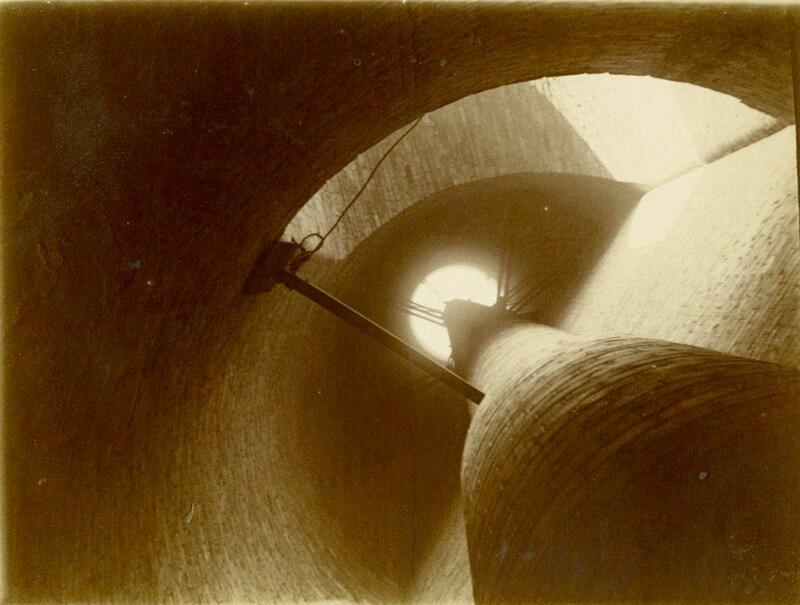 Below, the view looking up the chimney. 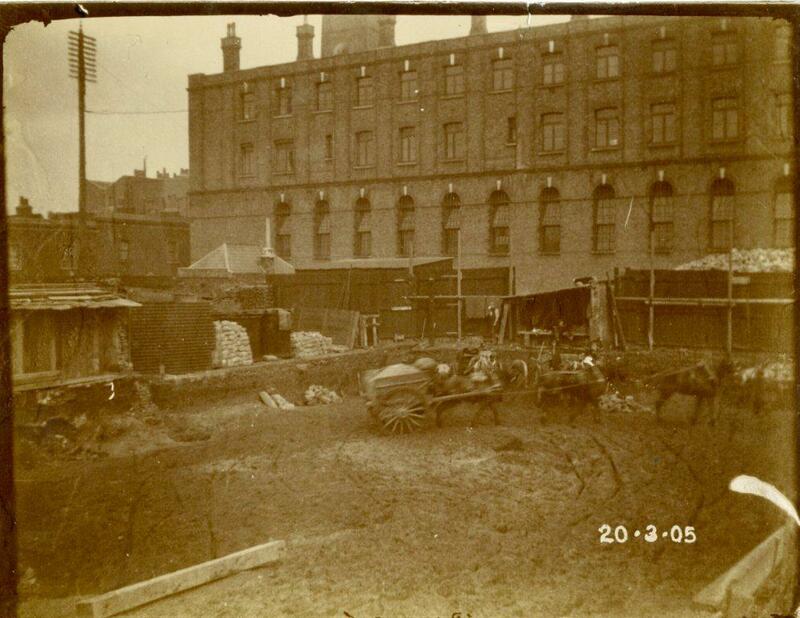 This shows the site being cleared of dirt and debris before the main building is constructed. 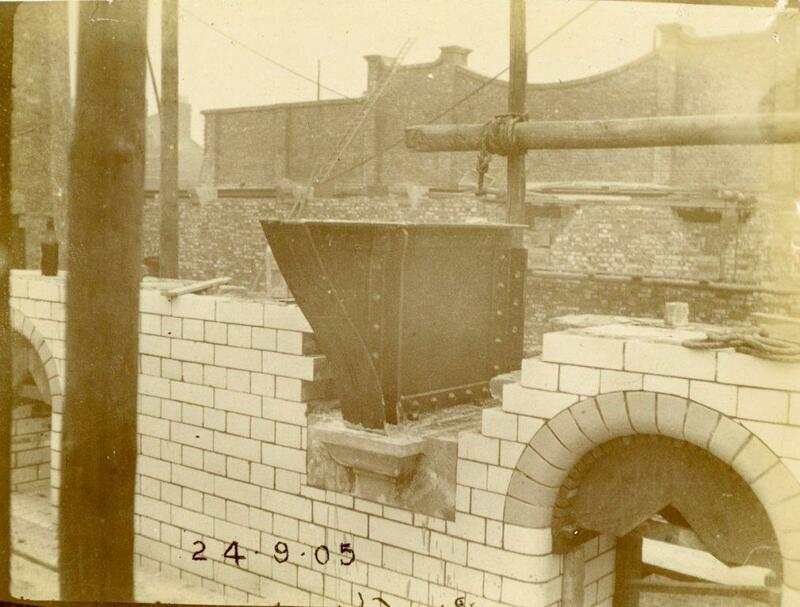 The caption to this picture refers to “Maarveller” corbels. Not a term I’m familiar with – any thoughts, anyone? 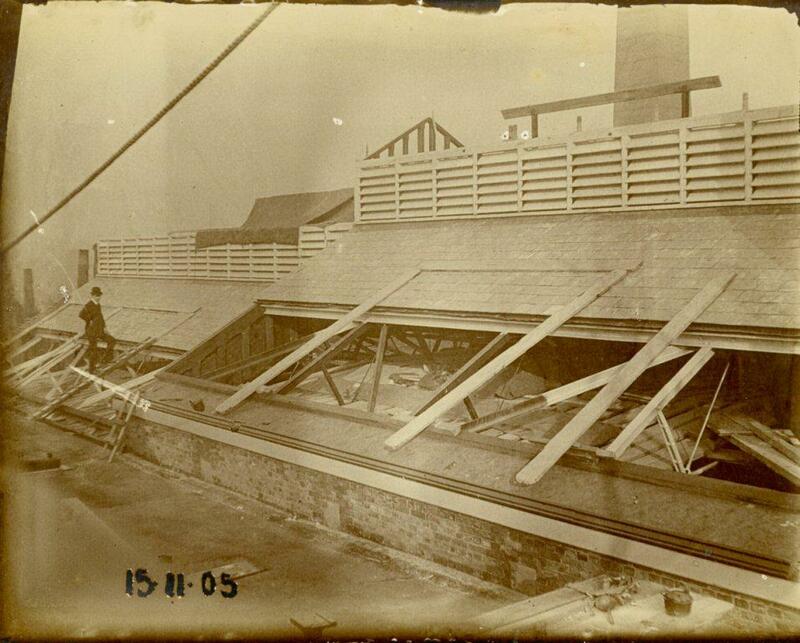 Here a manger takes stock of progress on the boiler room roof. Satisfied? At this point the interior seems to take a firm step away from the previous century. 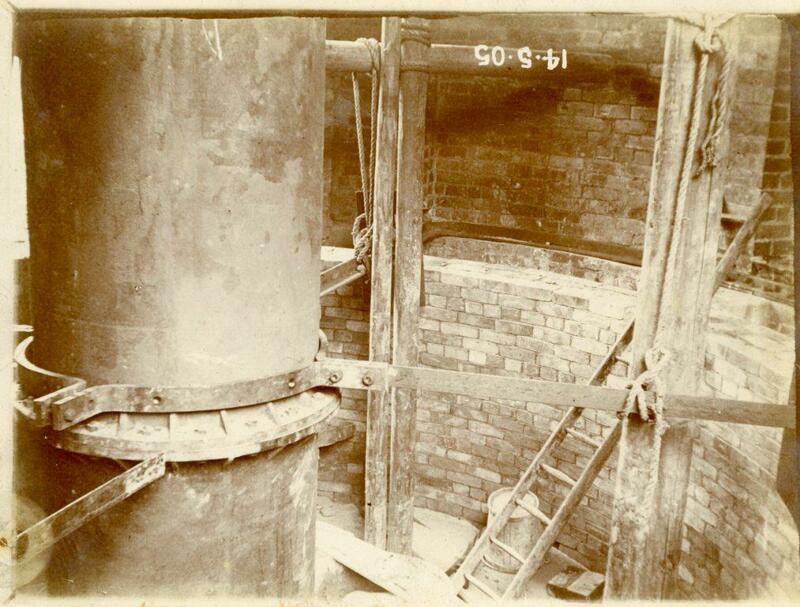 The flue opening in the chimney and the pump room. The interior is starting to look lik ethe set of an expressionist film. I like the precarious looking iron staircase. 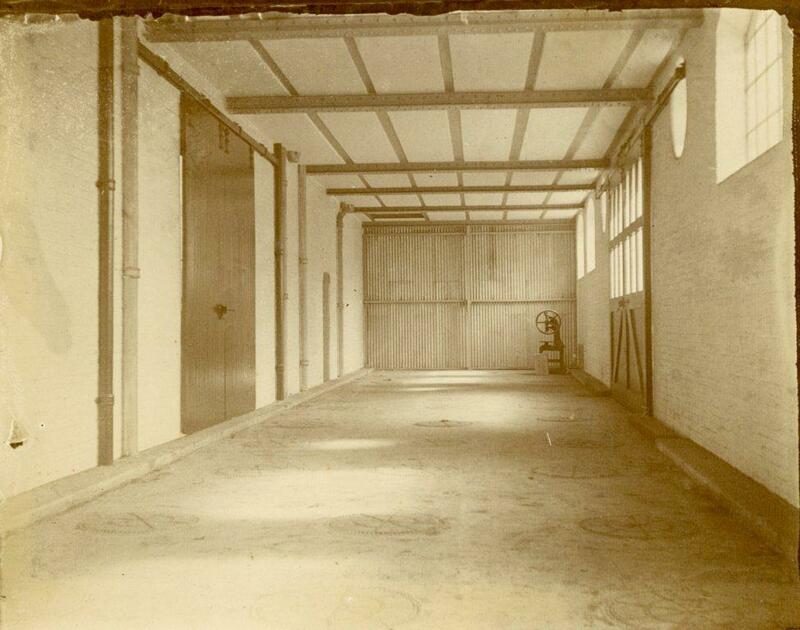 The clean empty room below is the battery room. And this is the coal corridor, before any coal was moved through it. The scrapbook contained nearly 50 pictures so there isn’t room for them all here. 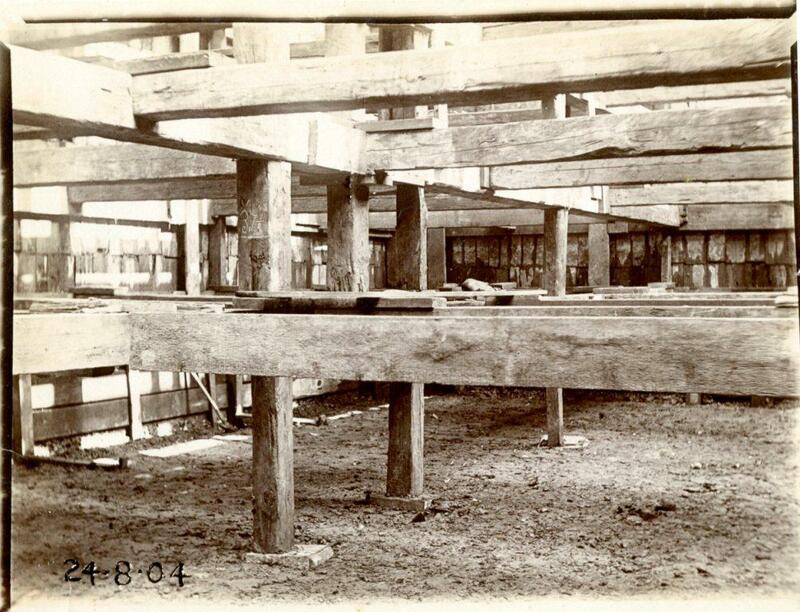 I won’t try your patience with a two part post on a relatively obscure industrial building. 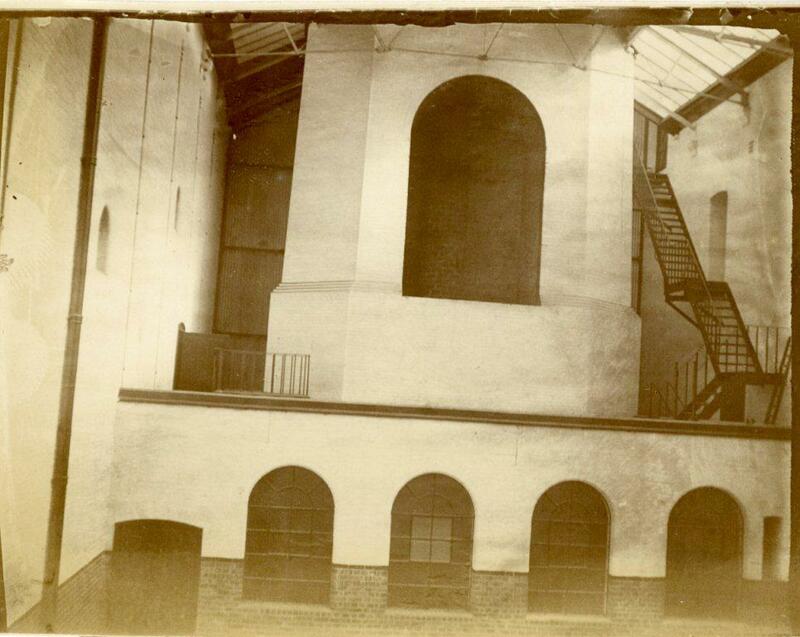 This picture comes from one of our Chelsea scrapbooks and shows the station in use. 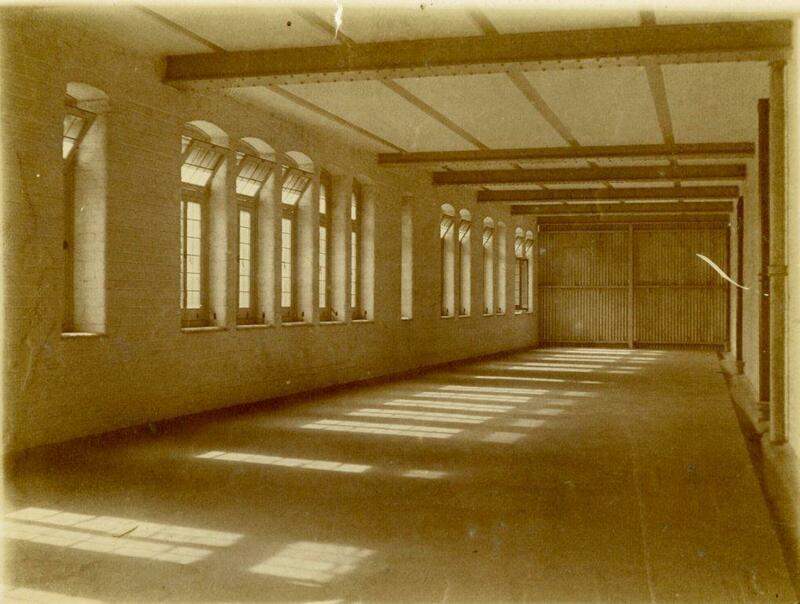 It carried on generating power for some years, and part of the site was used as a munitions factory during WW1. But it’s time came and the chimney came down. 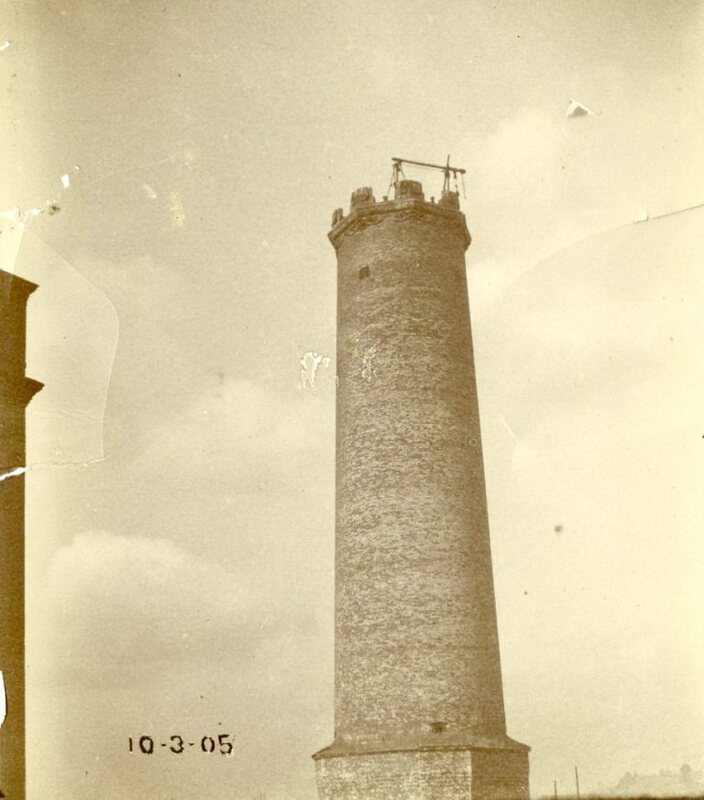 This picture, annotated by a member of staff dates from the late 1920s. I don’t know who Eavey was, but he was a braver man than me. The Alpha Place scrapbook is part of a collection of material that was recently donated to the library. I’ll tell you more about the collection in a later post. I will say now that I’m pretty excited about it. Regular readers will already have noticed that this post is being published fairly late in the day. Sorry. I only finished it about five minutes ago so further apologies for any typos. Some days you just get overtaken by events. This entry was posted on Thursday, June 8th, 2017 at 1:13 pm	and tagged with Alpha Place, Chelsea Manor Street and posted in 20th Century, Chelsea. You can follow any responses to this entry through the RSS 2.0 feed. Thank you. I knew somebody out there would know.